23 year old Mankind Pharma Ltd has been active in challenging gender roles through its communication. 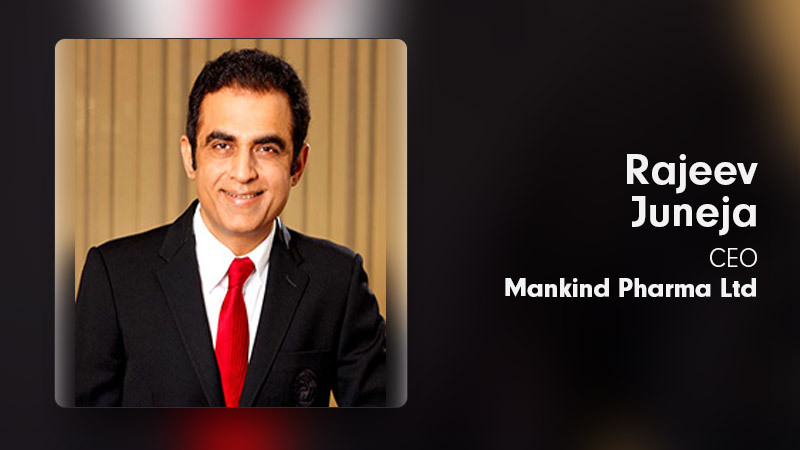 The company’s CEO Rajeev Juneja takes us through the journey of Mankind and social media content strategy. To mark Father’s Day this year, Preganews Pregnancy Detection Card, manufactured and marketed by Mankind Pharmaceuticals Preganews launched a new campaign #QuitBeforeYouStart specifically targeted at couples planning a family . The campaign urged to-be fathers to quit smoking for a healthy child. Usually women stop smoking before they start planning a baby. But in the case of men, it is very rare that they quit. Highlighting this issue Prega News said that for a healthy child it is the responsibility of both the mother and father to quit smoking. This takes the company’s corporate philosophy of serving lives further”. Also recently Mankind Pharma yet again joined hands with ADK Fortune, a WPP agency to execute a short corporate film ‘Choti Chakri’ standing for the happiness of mankind the brand strives for. We got talking to Rajeev Juneja,CEO, Mankind Pharma Linited to know more about the brand’s journey so far, adopting the ‘storytelling’ advertising trend, digital marketing stratgies and much more. How has the journey of ManKind Pharma been so far? India’s 4th largest pharma company, Mankind Pharma is continuously striving to achieve new heights with its philosophy of serving the lives of the people by making medicine accessible to all at affordable prices. Within the span of 23 years, we have achieved the turnover of 5000cr & we are No 1 company in terms of generating highest numbers of prescriptions from doctors, which is an achievement in itself. Most of our products are being manufactured in our own factories. We also have R&D centre wherein 350+ scientists are working as of on date. We are continuously striving to fufill unmet needs of masses with our strong field force (13000) wherein other companies has failed to reach. How PregaNews strategizes to leverage social media in today’s heavily online dependent age? Social Media is a very powerful medium to get the conversations going, even a simple hashtag can be enough to bring a change in the society. PregaNews being the market leader in its category with a 70% market share is not enough for us. In fact, we owe responsibility to bring change in society at large & because of such tremendous increment in internet reach these days, our communication has gladly reached not only Tier 1 but Tier 2 & Tier 3 cities as well. As per the trend, people are consuming more of video content, so social media has been the apt platform to address Prega News’s challenges with regards to prenatal blues and postnatal depressions and also many initiatives like how to deal with pre-pregnancy, post pregnancy, child care and societal attitudes towards pregnant women & young mothers. Given the nature of the brand, how would you define your ‘Target Audience’ on digital and how do you strategize to reach out to them? Secondary: People around her who will help her during the pregnancy period. And we think campaign does wonders only if it is replicated to all advertising mediums, to which a common man is accessible to. Likewise we have partnered with renowned Parenting portals like My city for kids (now known as Momspresso), Tiny Steps, Baby Destination. Also apart from Google, Facebook, Instagram & Twitter, all our campaigns has been made live on OTT platforms as well to capture larger chunk of audience. Also we target online news portals as well. Insight behind launching long-format ad campaigns? Long-format ad campaigns that resonate with the target audience, especially on an emotional level, will make the brand stand out from the clutter of branded content floating online. Also unlike traditional advertisements of 20 or 30sec secs, we are not able to raise bigger issues which needs society’s immediate attention. What is the overall objective to be achieved from digital marketing? Digital Marketing is a cost-effective and a measurable way of advertising for a mass audience. 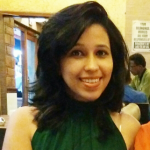 With a scope of personalised advertising, PregaNews will create awareness around pregnancy and bring about a change in the preconceived notions of the people. A sustained Digital Marketing campaign will thus ensure a strong brand presence and brand loyalty. Over the years, how has your social media strategy evolved? Having well known celebrities on board for Preganews i.e Kareena Kapoor & Shilpa Shetty, we started our digital journey by sensitizing the corporates about the needs of the pregnant woman in the workplace & while travelling and moved on to spread awareness about post-partum depression. Our latest campaign on Father’s Day was released with an aim to expand our reach by shifting our focus from the professional sphere to the personal world. Strategically released between ‘World No Tobacco Day’ and Father’s Day, our communication was directed to the fathers, elaborating on the harmful effects of smoking on a foetus. Motive was to aware not only mothers but to father’s too, who has a major role in a child’s life. As a marketer weaving a traditional brand’s presence on digital, how do you feel storytelling has evolved? The narrative of the communication has evolved dramatically as agencies now focus on churning out good quality and socially relevant content and not just advertisements. One of the biggest challenge on digital media is to grab the attention of the viewers and keep them hooked on. The content, therefore, must strike an emotional chord with the target audiences. We take utmost care that every second of our video is able to connect with the viewer & is able to communicate our message. How is creating a content plan for social media different vis a vis other traditional mediums? What are the challenges? The content created for social media must be designed in an engaging way which allows an active participation and a two-way flow of communication between the brand and the viewer. The challenge with social media is that the fate of the content, that is whether the video becomes viral or not is not in the hands of the planner. The communication must stir the emotions of the viewer so that they get motivated to share or comment on the video posted. Also another challenge is to make sure that video is not lengthy as viewer usually drop out if seconders are too long, we have to be crisp enough to connect with consumer & at the same communicate our message properly. What are your expectations from the agency? We always expect our main line advertising agency, ADK-Fortune, to come-up with interesting campaigns for the brands. They have always managed to impress us with their work and dedication. What are the 3 major changes according to you, seen in the social media marketing world that brands need to adapt to? In today’s evolving social media world, brands must firstly take the consumption needs of the viewers into consideration. Secondly, they should focus more on storytelling rather than merely selling the product. Thirdly, the communication must be engaging so that it has the power to initiate a dialogue on all social media platforms.